Sports and hip-hop are a match made in heaven, but sometimes an unusual reference gets used so many times over the years that it stands out. 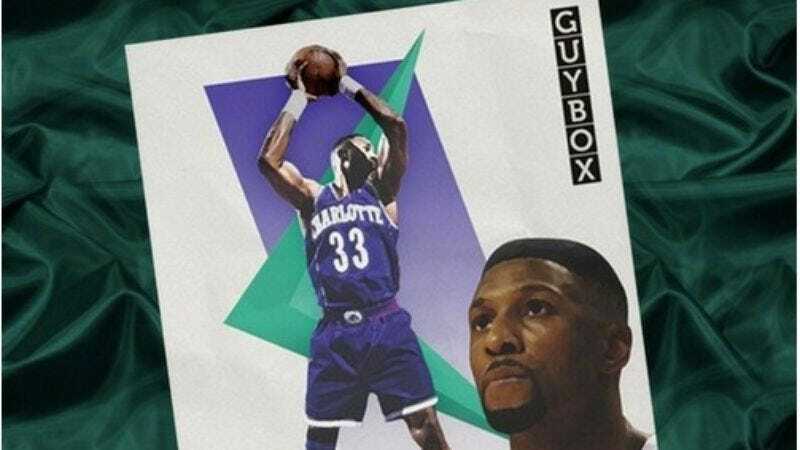 Courtesy of an endorsement from Bethlehem Shoals (of dearly departed but never forgotten NBA blog Free Darko), now there’s a roundup by Vancouver-based Young Braised of many different rappers referencing former NBA star Alonzo Mourning in songs ranging from 1993-2012. Unfortunately, unlike other sports references, where a name gets used because of how great, say, Michael Jordan is at basketball, Mourning is such an ever-present name-drop because he goes well in any line using the word “morning.” You know, instead of highlighting the fact that the guy got a kidney transplant, then returned to the NBA and won a title. The tracks range from the standard name-drop in Fu-Schnickens’ “What’s Up Doc? (Can We Rock)” which featured Shaquille O’Neal, to Wale’s “Georgetown Press,” which actually references the infamous incident when Mourning’s Georgetown coach John Thompson confronted Rayful Edmond, the notorious drug dealer generally credited with introducing crack cocaine to Washington, D.C. It’s a wide range of songs showing that Mourning is a go-to for hip-hop wordplay, and that’s a pretty cool legacy for a relatively unheralded star of his generation.